As we have mentioned previously on our blog, all our shutters can be bespoke made to fit the most awkward of windows and openings. 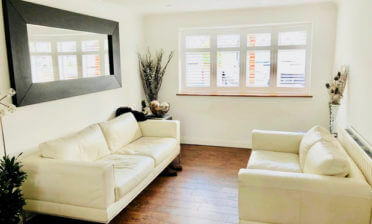 Compared to buying off the shelf DIY shutters all our shutters our completely made to measure, with custom work carried out at manufacturing and also at installation where required. This customer in Purely, Surrey required a window dressing for their really narrow window dressing and we were only too happy to help! This window would not only be very difficult to dress with curtains or blinds, but would just not look correct. 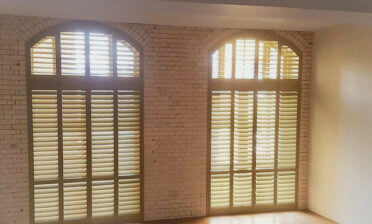 Our shutters make the perfect fit for such a window gap and are also fully functional! Although these shutters are made from our full height style they are only 3 89mm louvres high per panel to allow the perfect fit. They were built using material from our Fiji Range. 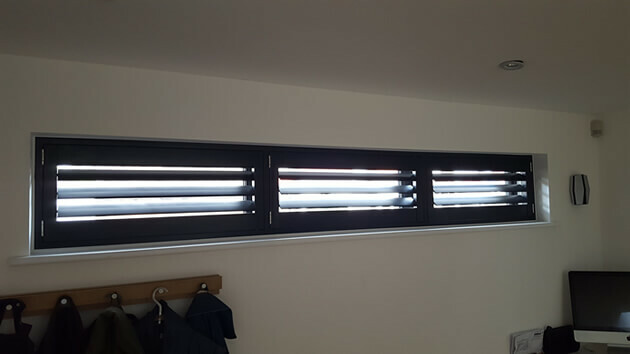 All the louvres work in the same way they would on full size shutters, but using our hidden tilt rod system they can be adjusted simply by touch. 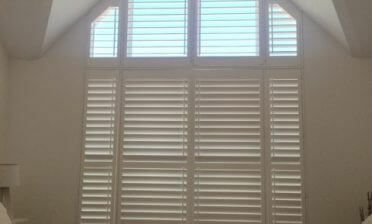 Fitting tilt rods would require majorly cut down rods which in our opinion would look out of place on these shutters. All panels can fully open to allow access to the windows behind and the light and privacy can be quickly and easily adjusted at any time. We finished the shutters in a custom black colour with stainless steel hinges which turn this awkward shaped window from drab to exciting!